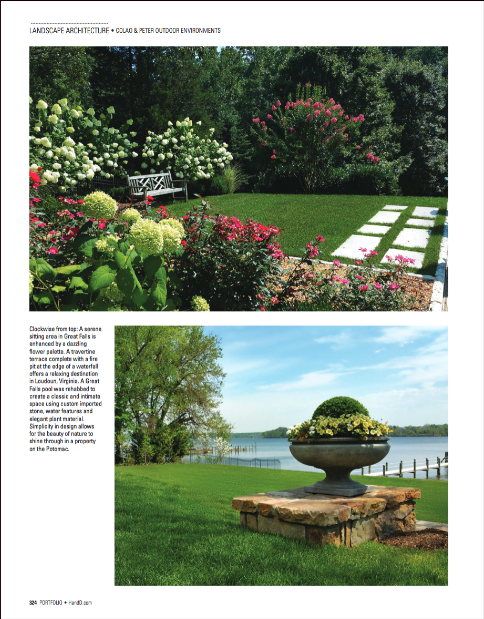 Colao & Peter Outdoor Environments had the honor to be chosen by Home & Design as one of DCs Top 100 Design Firms. Amongt the group were the most notable names in architecture and design in the DC metropolitan area. 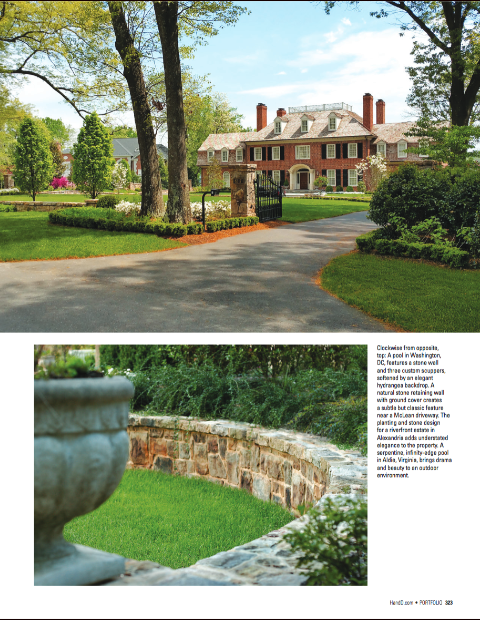 The honor was granted to only 15 landscaping firms in the metropole, which made it especially wonderful. Partner J.R. Peter, the company's principal architect, said "Being chosen by such an elite publication in the architecture and design space means a lot but it is only possible because client's have trusted us to capture their vision through creative ideas and great use of their outdoor spaces." Coming off of winning many awards at the LCA awards and winning some notable landscape design and build contracts, Colao & Peter's portfolio of amazing projects is growing, cementing their ability to design and execute world class landscape projects for discerning clients.